One year for a big holiday meal I bought an uncured ham. Afterward we had a huge amount of leftover ham, and I had to find creative ways for us to consume it all. Though I don’t serve ham for holidays nowadays, I still buy it in smaller portions so that I can make these recipes, which are family favourites. They should prove handy ideas for you as well, in case you have extra ham hanging about in your fridge or freezer this month or next. Or feel free to try each one just because they are unique and delicious! 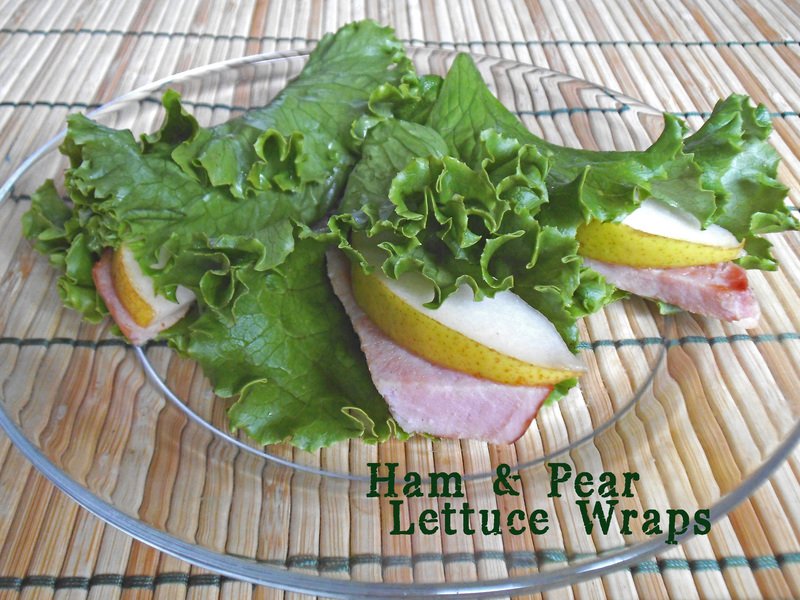 Place ham and pear slice on a lettuce leaf. Roll leaf around ham and pear. Serve immediately or refrigerate until ready to eat. Place potatoes and carrots in a pot and cover with water. Heat over high heat to boiling and then reduce heat to simmer until potatoes are tender but not mushy. Turn off heat and add peas. Drain hot water and rinse the vegetables in cool water to cool faster. Transfer vegetables to a mixing bowl. Add mayonnaise and ham to vegetables. Stir gently until vegetables are evenly coated with mayonnaise. Add plenty of sea salt to taste. Transfer salad to serving bowl. Top with sliced green onions and egg, if using. 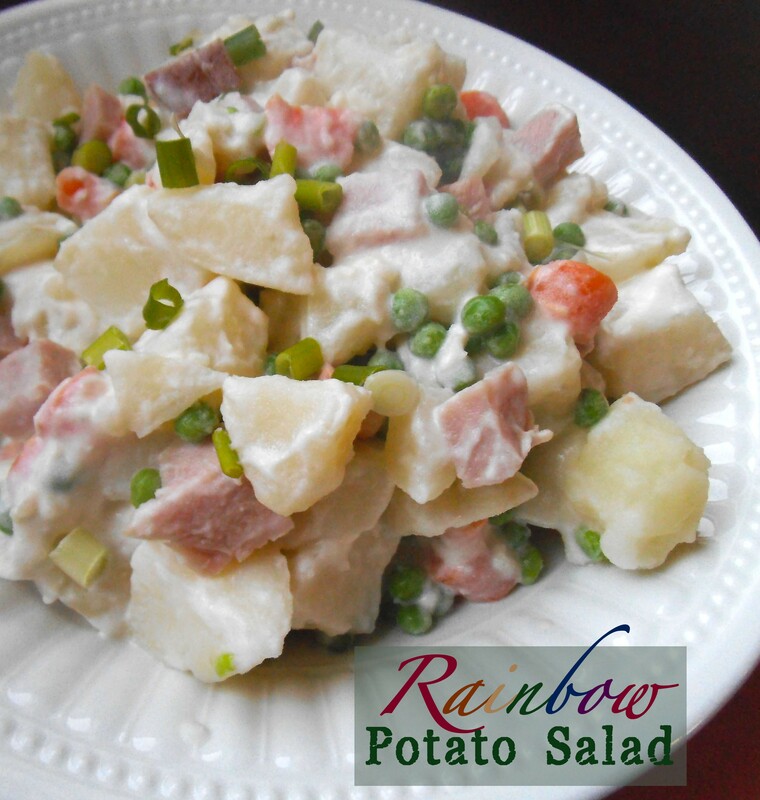 Serve potato salad chilled or at room temperature. Lightly grease a saute pan and saute onion until tender; add broccoli and/or cauliflower along with about 2 tablespoons water and cook until crisp tender. Remove from heat and season with salt to taste. Stir in mayonnaise and ham. Allow ham and broccoli mixture to cool slightly. Preheat oven to 350 degrees F (180 C). Stretch dough to form flat circles about 8-inches (20 cm) in diameter. Fill with about 1/3 cup ham & broccoli mixture and fold dough in half. Crimp edges to seal and form a closed pocket (like a calzone). Places filled pockets on a light greased or parchment lined baking sheet. Bake for about 20 minutes or until golden brown. Remove from oven and brush with tops with margarine or olive oil. Serve warm. 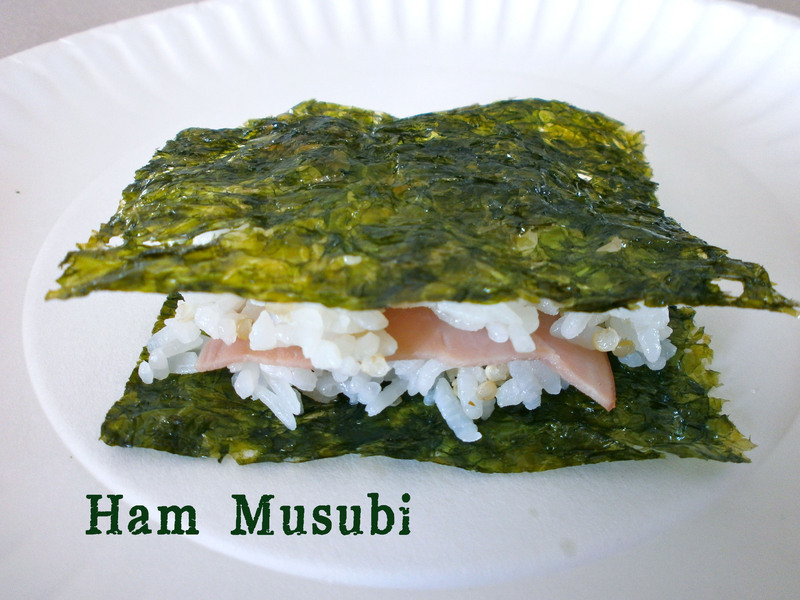 The recipe for Ham Musubis can be found here. you’ll find this and other inspiring recipes. These recipes look great! Thanks for sharing at Sweet and Savory Blog Hop! They are definitely worth trying, before or after Thanksgiving! Thanks for coming over to visit! 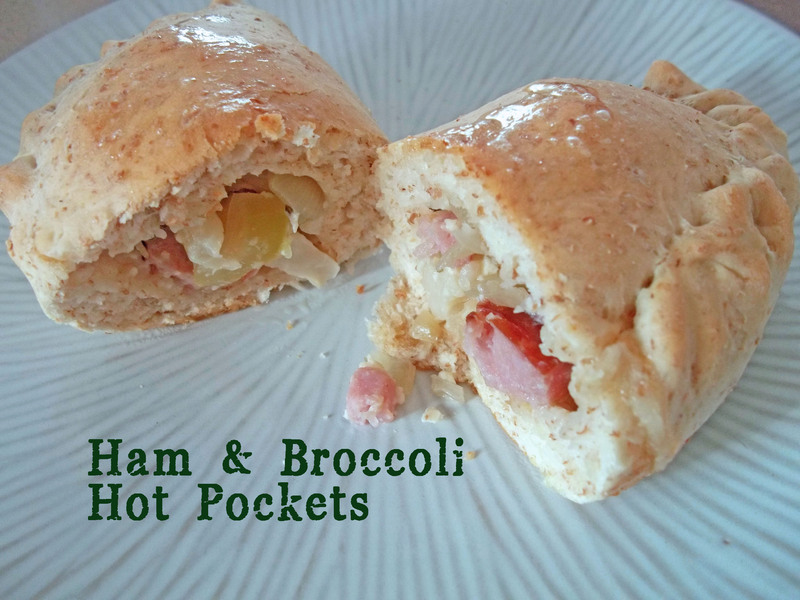 Love the look of the broccoli and ham pockets. I love new pocket recipes, and it’s great for ones to use up leftovers. Thanks for the recipe.